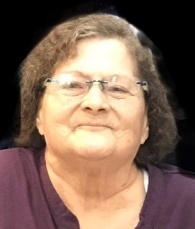 Claudia Jean Cope, age 75 of Grand Haven, passed away Sunday, January 13, 2019 at a local care facility. She was born on January 17, 1943 in Muskegon, MI to the late Claude and Margarite (Bol) Cope. Claudia enjoyed Bingo, line-dancing, and fishing. She also had a knack for making arts and crafts. Most of all, family was very important to Claudia, and she enjoyed the time she spent with them. Claudia will be lovingly remembered and missed by her daughter, Cindy (Mike) Krause of Grand Haven; sons, Jeff (Barbara) Vanderwell of WA and Greg (Gloria) Vanderwell of Hong Kong; seven grandchildren; three great-grandchildren; and brothers, Doug (Vicki) Cope of Fremont and Mike (Judy) Cope of FL. She was preceded in death by her sister, Pat HershBerger and brother, George Cope. A Celebration of Claudia’s life will be held from 12:00 to 3:00 p.m. on Saturday, January 26, 2019 at Church of the Nazarene in Grand Haven. Memorial Contributions in her memory may be given to the Alzheimer’s Association-Greater Michigan Chapter.